Coffee is considered as an effective stimulant that keeps the consumer alert and awake. With our usual busy lifestyle, it helps to have a beverage ready to keep us active all throughout the day. 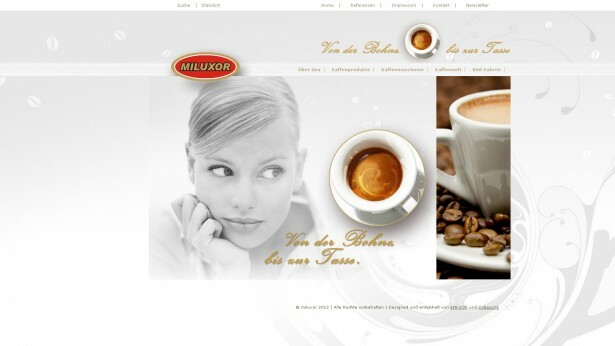 Our web site design is minimalistic yet warm and invites you to make yourselves a cup of Miluxor Coffee.The Background pictures reflect the website itself, with its sparse text and neutral color choices. Contemporary web solution in line with the modern Internet marketing principles, so that the implementation of future Internet strategies of any kind is possible. 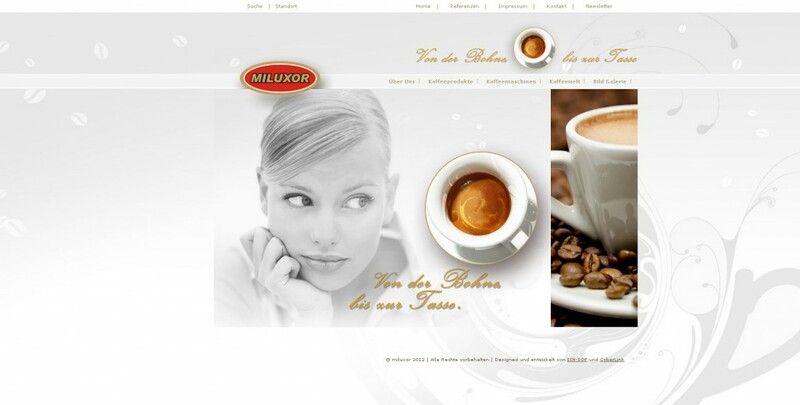 Miluxor web site follows the journey of Miluxor coffee from bean to cup offering Coffee Products and Coffee Machines Galleries. Interested visitors/clients can subscribe to the Newsletter or contact Miluxor directly.